18 percent of local mobile searches lead to a sale within a day. Your customers have demonstrated an interest in discovering you through the Internet. What are you doing to grab their attention? In the good old days of search engine optimization, a lot of small and medium-sized businesses would churn out articles faster than rabbits breed and stuff those articles with keywords to get a higher rank in local search. Those days have long gone. What sells in 2018 is research-based, attention-grabbing content that solves real problems. Those in the industry call it pillar content. 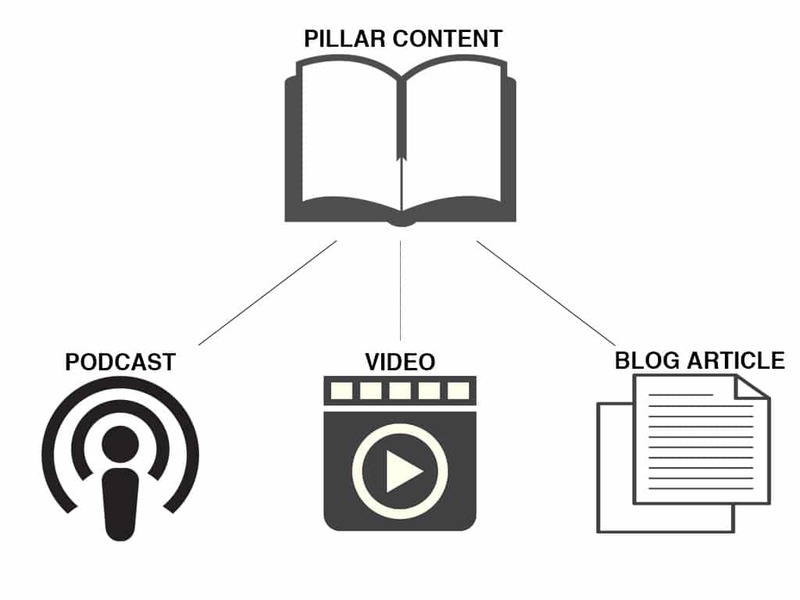 Pillar content is a collection of articles, blogs, web pages, videos, infographics, podcasts, and media files around a highly-targeted keyword that cover a topic exhaustively. Assume that you are a plumber and have written a DIY article on HVAC maintenance. A good pillar article tends to be long, covers the core topic in depth and touches on several sub-topics. The sub-topics can be: how to keep your central heat and cooling system in good shape during winters and summers, how to identify frequently occurring issues—clogged filters, inefficient heaters, and so on—and how the problems can be quickly remedied when they appear. The goal of writing pillar content is to create a go-to reference for homeowners essentially. The shelf-life of a pillar page or article is measured in years. Once the article is complete, you can create a series of videos, infographics, images, and supplementary articles—to be published on your website or as guest blogs—to expand on each sub-topic. Together the pillars will constitute pillar content. It is not sufficient to create pillar content. The content should be arranged in such a manner that it is accessible to readers and search engines to understand. And that brings us to the next subject: content silos. A content silo is a thematic collection of content. The articles, videos, images, and other media on your website are separated for individual topics, allowing search engines to find the focus of your business more easily. For instance, a DIY HVAC repair article can be included in the section “DIY Articles” or “HVAC Maintenance.” The actual classification will depend on how a business is run. The categories you see on Amazons is a well-known example of content silos. Want a book? Go to Books. Want a computer? Go to Electronics. Such collections are intuitive and easier for search engines to comprehend. Together pillar content and content silos make a winning combination. Search engines have advanced a lot over the past few years. Old-school content marketing techniques rarely work nowadays. In 2018, a recommended strategy for businesses is to create pillar content, and content silos allow local businesses to make the most of the new web. Keyword density was a big thing when Foxxr opened the shop because several search engines relied on other ranking mechanisms to rank websites. But recent search algorithm updates have rendered keyword density a meaningless term. Clever use of pillar content and content silos permit you to utilize your primary keywords naturally. Back in the old days, churning out blogs as if there was no tomorrow was a normal practice. This has changed. High quality and value-added content are more important today than publishing frequency, which has been going down. No one wants to read blog posts with the title “5 Local SEO Tips.” So don’t get started writing right away. Long articles and web pages are usually the ones on the first page of Google’s search for a keyword. Your readers want meat, not potatoes. A lot of the time, it is advisable to spend time creating one pillar article a week or every two weeks that can be used for several years instead of several short posts every day. Beginning with Hummingbird (a Google Algorithm); however, Google has gotten a lot more intelligent. For instance, Google focuses more on search intent than actual keywords. Few people type in “Starbucks San Francisco,” and more people are asking Google “Where can I find Starbucks in San Francisco?” Indeed, 20 percent of all Google searches on mobile are voice searches, thus more conversational. In-depth research and clear demarcation will mean that you will be creating a piece of content your target audience can relate to. Higher Rank in Search. Writing several quality articles about a topic will cover all your keywords naturally. Future-Proof Strategy. Google’s increasing reliance on AI means the search engine emphasizes context more than keywords. Pillar article will provide plenty of context around a topic. Consumer Trust. Consumers are more likely to believe in you if you can show them your expertise through content. More Sales. When your content is your niche’s encyclopedia, your clients will turn to you for help and will be more likely to buy from you. SEO has changed. Old content marketing techniques do not work. Adopt pillar content in your online marketing strategy to dominate search and expand your business.